A first choice University place came into sharp focus for one star Nelson and Colne College student on A Level Results Day. 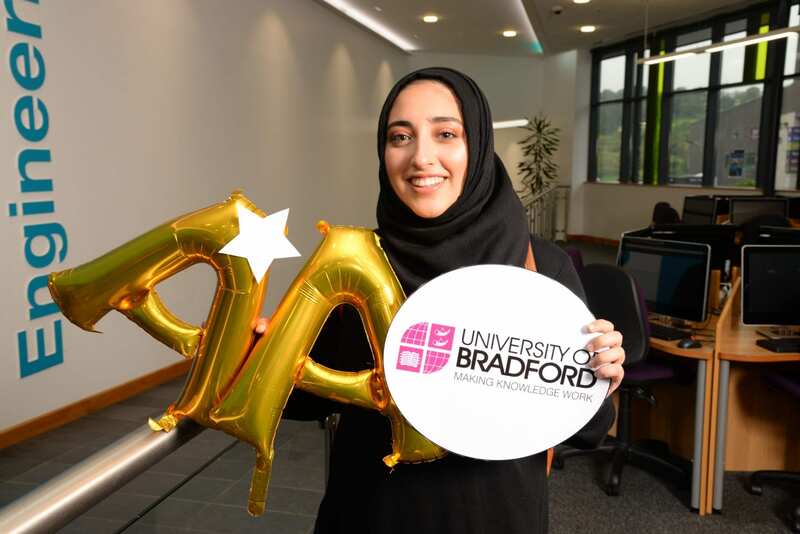 Aneesa Ashraf, 18, from Nelson, achieved A*AB in Maths, Biology and Chemistry and is now going on to the University of Bradford to study Optometry. Aneesa’s strong work ethic has helped her develop an in-depth understanding of all the subjects she has studied while at College and that is reflected in stellar achievements. She has a career goal to work in Optometry and outside of College she has gone above and beyond to try and reach her aim by gaining extensive, hands-on and valuable work experience at an optician. Aneesa, who previously attended Pendle Vale College, said: “I’m very happy with my A Level results and I’m looking forward to University! “At College, I’ve carried out practicals and gained skills in using equipment, problem solving and analysing data – many of which are transferrable to Optometry. “Studying the eye in Biology has made me even more enthusiastic to study Optometry. I’m just fascinated by how the brain and the eye work together really.